Keep your bobbins organized on top of color matching thread spools. Fits on all brands of home sewing and embroidery thread spools. Made of quality rubber that adjust to any spool diameter. Fits Type A (class15) and Type L (class 96) and M bobbins. TIP: Wind thread twice around post before snapping the bobbin to prevent unwinding. 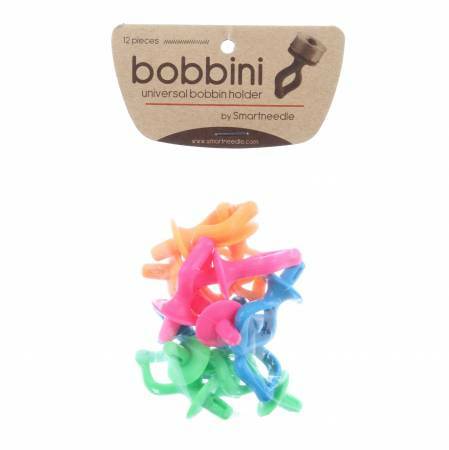 Bobbins are a 'must have' notion on every sewing room!